Munshiganj district, formerly a subdivision under Dhaka district, was established in 1984. Today's Munshiganj (মুন্সীগঞ্জ) was once a part of ancient glorious region of Bikrampur. 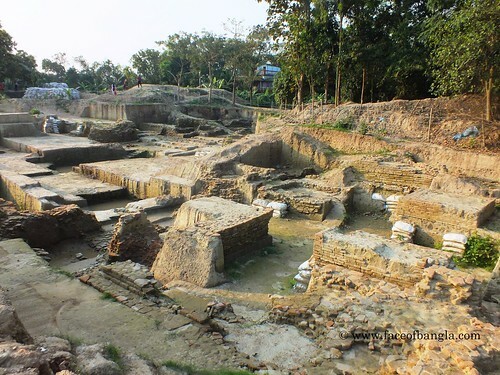 Bikrampur (Munshiganj) was the political and cultural centre of ancient Bengal. It was officially known as Bikrampur (বিক্রমপুর) until 1986. It was the capital city of the Chandra, Varman and Sean dynasties, from the beginning of the 10th century AD to the middle of the 13th century AD. 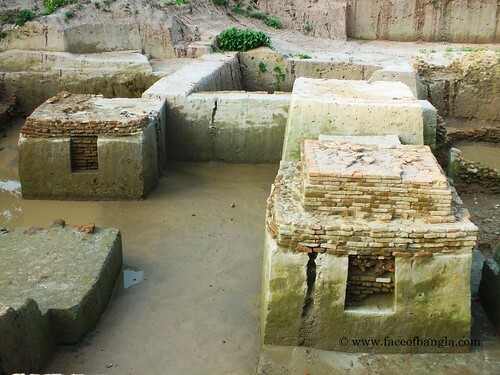 Bikrampur was the birth place of great Buddhist scholar Atish Dipankar. He was born here in Bajrajogini (বগ্রযোগিনী) Village in the year between (980-983) AD. At that moment the subcontinent had three renowned Bihars/Universities. Those were Shompuri Bihar (সোমপুর বিহার), Odontopuri Bihar (ওদন্তপুর বিহার) and Bikramshila Bihar (বিক্রমশীলা বিহার). Atish Dipankar taught his disciples in all of the Bihars/Universities. Bikramshila Bihar was the largest among others. Historians predict that the Bikramshila Bihar was established by the 2nd king of Pal dynasty (Dharmapal) and it was in the Bikrampur area. It is believed that, there were 8000 students and 108 teachers in the Bikramshila Bihar/University. 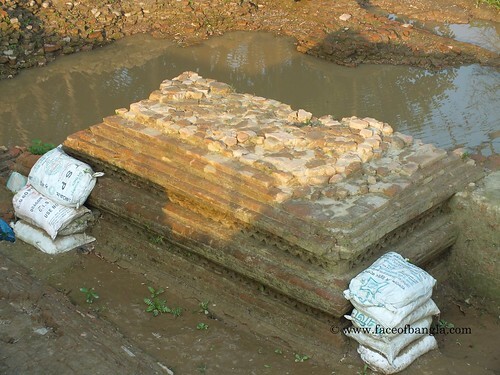 Recently in Raghurampur, very near to Bajrajogini village an old Buddhist educational site is unearthed. The carbon dating of the artifacts of the site reveals that the site was built during 990-1050 AD. 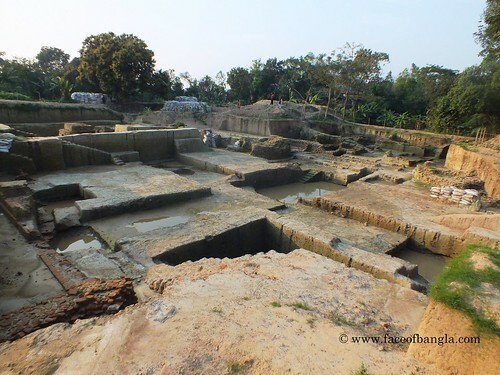 Consequently, archaeologists have unearthed another ancient Buddhist site that is believed to be a thousand years old at Nateshwar (নাটেশ্বর) in Tongibari upazila of Munshiganj. 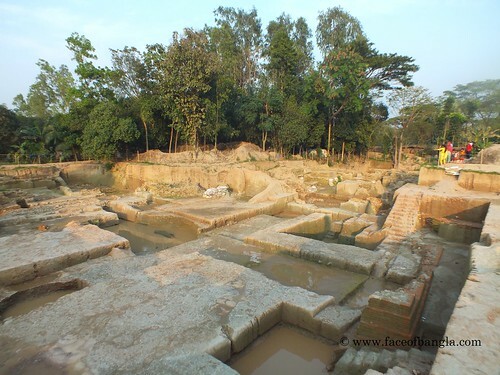 This site is predicted as one of the oldest archaeological sites in Bangladesh. Archaeologist expects that the excavation will also reveal early life of Atish Dipankar (অতীশ দিপঙ্কর). The excavation work has started in 2013 by Agrasar Vikrampur Foundation in collaboration with Hunan Provincial Institute of Cultural Relics and Archaeology of China. Twenty Bangladeshi and four Chinese experts took part in the excavation. The excavation at the site was remain suspended from late February to November due to monsoon. Research Director Prof Shah Sufi Mustafizur Rahman said they found two roads made of old bricks in ‘attractive architectural design’, a zigzag 2.75-metre wide wall was constructed with over-burnt bricks, probably to protect the structure from moisture, a prayer room of Buddhist monks measuring nine metres in length and nine metres wide, an octagonal stupa and brick-built drains and many other archaeological relics at the site. The artistic brick works on the temple also reveal its architectural significance. Its existence (very near to the birth place of Atish Dipankar) and time of establishment directs the researchers to think it as the Bikramshila Bihar/University. But this announcement requires more proof. 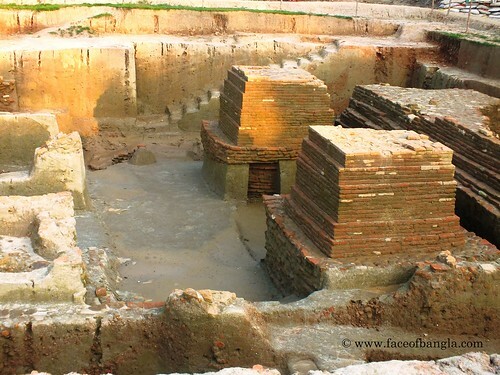 At present it is excavated by Bangladesh and China archaeologist’s joint team. Dr Sufi Mostafizur Rahman, a professor of the archaeology department of Jahangirnagar University, is leading the excavation team. He also said the discovery of the relics was the evidence of the existence of a ‘rich civilization’ in Bikrampur in the past. It is deficult to understand the places without labeling.